"Photography is a powerful form of visual expression, available to everyone." Photography and I have a long history. 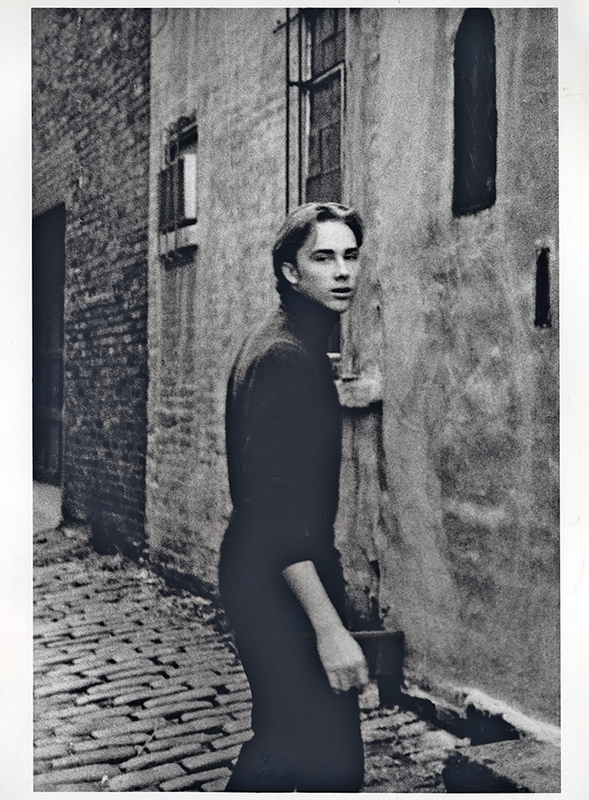 I took my first photography class in college at NYU where I majored in communications and I loved it so much that I did my concentration in photography. At my first photo critique, my professor told me that my photos had a Wim Wenders (award winning German filmmaker/photographer) quality which was highly flattering and encouraging at the time. My early work was fairly conceptual before I got into portraiture. I still remember my first camera, a Canon AE-1 and the process of developing black and white film and printing my own photos. I've worked as a photo assistant, a production manager, a studio manager, photo editor and as a photographer. Somewhere down the road, I became disillusioned with the industry and worked outside of it and inevitably circled back when I was called to work on advertising campaigns for the brand which I was employed and I got to experience what it's like to be the client which is very nice since everyone is working to please you. I had always taken photos on my own whether I was doing it for work or not. I have to admit that my relationship with photography has been tenuous at times thanks to digital photography, camera phones and platforms like Instagram which makes everyone think that they can be a photographer. I'm not saying you can't but it can be disparaging to those who have actual training and experience. Anyway I've reconciled with that a long time ago. I know what goes into creating my photos and that's enough for me. I continue to be a student and always see room for improvement which is why I wanted to read this book. Zen Camera draws upon the principles of the Zen practice to create a photography practice to help develop one's creative vision. Longtime photographer and photography professor, David Ulrich lays out the foundation for this through six lessons: Observation, Awareness, Identity, Practice, Mastery, and Presence. Assignments accompany each lesson with a challenge to take what you've learned to capture something new. Behind the lessons is an interesting chapter entitled "Photography and Awakening, the Terrors and Pleasures of Digital Life" which addresses photography in the 21st century. An essential step in the process is establishing a practice of visual journaling called a "Daily Record" which is meant to cultivate one's creativity as well as skills. He stresses that the type of camera you have doesn't matter. After all a camera is just a tool and it's all about how you use that tool. Getting a better camera won't make you a better photographer. Training yourself to be a better photographer will do that. 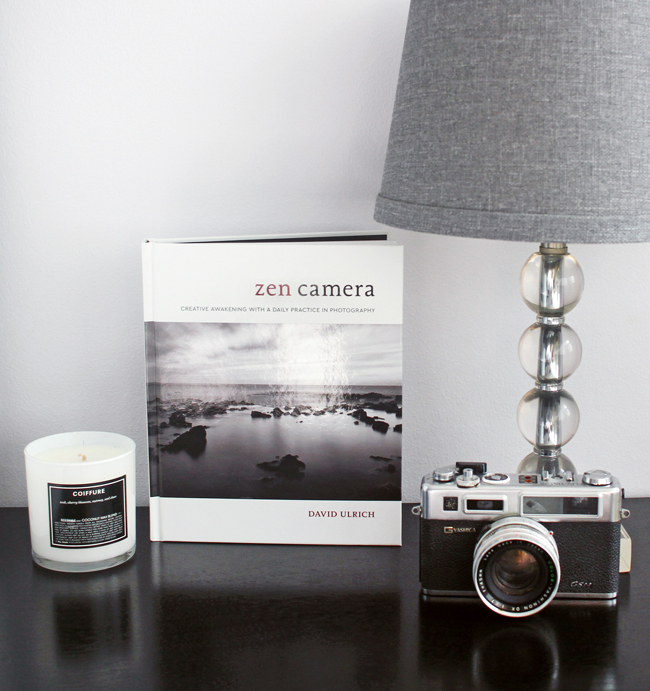 Beautifully illustrated with a wealth of photos, the lessons in Zen Camera are relevant to anyone on any photography level from a beginner to a professional. Many of the points resonated and reminded me of some of the things I love about photography. In particular is mindfulness because without that it just comes down to photographs that are superficially pretty but lack any deeper meaning. I've been really enjoying the visual journaling practice. I feel like this book has not only reignited my appreciation for photography but it has also helped open my eyes to see beauty and meaning in the everyday again. If you'd like some photo advice, be sure to check out my posts on How To Take Better Travel Photos and How To Use Photo Walks To Improve Your Photography. How cool is that black and white print interesting book thanks for sharing. This sounds like an interesting book to read! You've always had such gorgeous pics, chingu. Not surprised at all that your prof said that. And thanks for the review on this book. Talk about coincidence...I just got a new camera as an advanced birthday gift from hubby (a mirrorless Canon) as I've had my S95 for about 7 years now. I have been watching a lot of photography vids on Craftsy, but this book sounds great and something I can use to teach myself. Your article really resonated with me and not only because I like photography. I totally understand you attitude towards those who think they are photographs just because they take photographs, it can be annoying to witness but what can we do but live and let live. Today photography is easily accessible, but that doesn't mean that everything, every photograph everyone takes is necessarily photography art as such. I think there is a pressure to call everything 'art' today, and I don't think that's a good idea. It is clear when something is art and when it is something else. Not that advertisements can't be art as well, but I've seen some amazing campaigns but I have also seen some pretty self-obsessed stars/ influencers who think of themselves as photographs just because they have a camera. But to be fair some people just don't have appreciation for fine art and perhaps this is one of those things that you can't teach to someone who really doesn't want to learn. This book sounds really wonderful. I love that it is suitable for both beginners and those who have had some experience with photography. I enjoyed reading your review. The title of the book intrigues me as well. Photograph without meaning is just visual representation of something. Like with any art, one needs to somehow find a way to place meaning within it. It takes more creativity and skill, I'm sure. I feel that keeping a mindset of a student is really important. I like what you said about remaining open to learning. That's a great philosophy to have and it can be applied to almost anything. Teachers are often encouraged to try learning something new, so that they can put themselves in the position of a student and remember what it was like. I think that's great. Learning is something we should always do. In every aspect of life, there is so much to learn, so we should take advantage of learning opportunities whenever we can. You know I'm a huge fan of your photography, Rowena and it amazes me how you managed to create the most stunning pictures just with your phone. This sounds like a great book, one that I might enjoy too. This sounds like a book I need to read. I'd love to be a better photographer. I never got into photography but I’ve always admired photographers, it’s a unique skill that’s hard to master, and some people just have “THE EYE” of course I don’t lol. I just might purchase Zen Camera from Amazon, there is always room for improvement. This is such a great post! I really enjoyed reading about your photography background, and I definitely want to check out this book! It sounds so interesting! Thanks for sharing! Hello Rowena, I have always thought that photographers have an innate talent that no smartphone or social network can replace, this book has undoubtedly made you feel like in the beginning, I liked the review and the techniques that can be learned to develop the creative vision. Photography is a skill I admire and a profession that must be really hard to achieve. While I strive to get better with time, I know that it is not my strong point, I am way better with words than I am creating meaningful pictures. The book must be a great way to keep practicing, even if you already have the training and knowledge you do have. Oh this sounds like a great book! And being a budding photographer I just may need to pick this one up. Rowena, I've always told you that your photos are ALWAYS GORGEOUS! You have such an eye for things. You capture both people & places so BEAUTIFULLY! You really do. I think it's a gift! I don't have that gift. I'm like SNAP! HaHaHa But with yours, you always feel as if you're THERE! Thanks for sharing your study. I didn't know your history. This sounds like a great book. I love to learn new things. So I can't wait to read this book.